The Camry is still Toyota's best selling model in the US. And the best selling car in the country. So this is one super important model. All new pictures have emerged. Where you can really see the actual car. Make sure you click HERE to see all of these new pix. This is what we saw a few weeks ago. 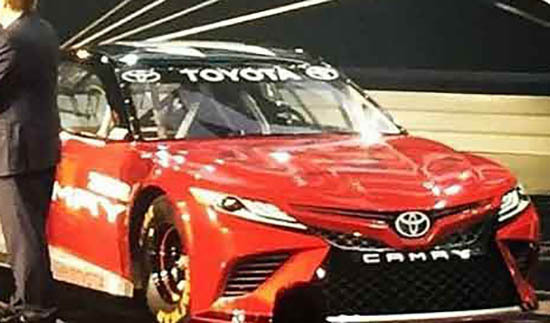 When Toyota unveiled their new racing version of the Camry. 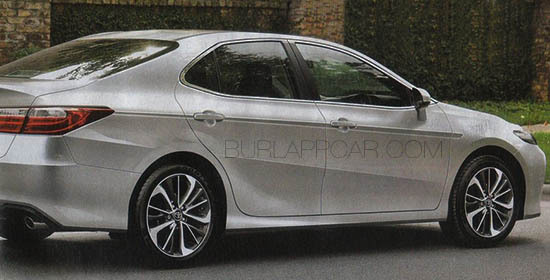 So this is pretty much a more aggressive version of the next Camry. Here are two new illustrations . And they do look really close to the pictures posted HERE. 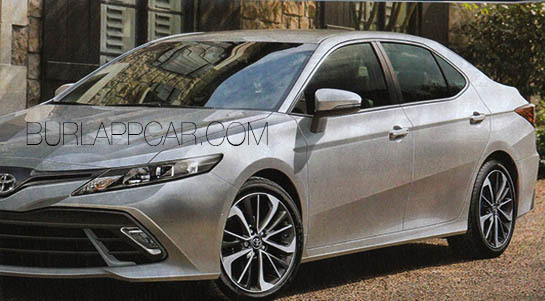 So again, the Camry design is a quiet evolution of the previous one. Something that has worked very well for them so far. 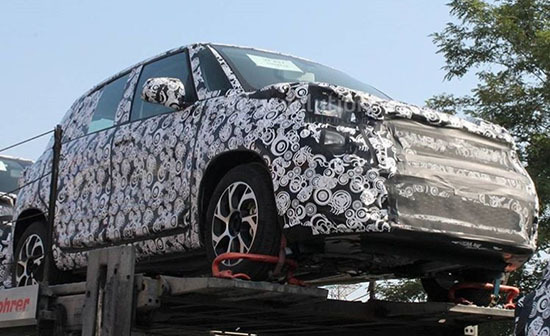 But Toyota has already admit the next generation RAV-4 might be so popular, it could actually outsell the nextCamry. 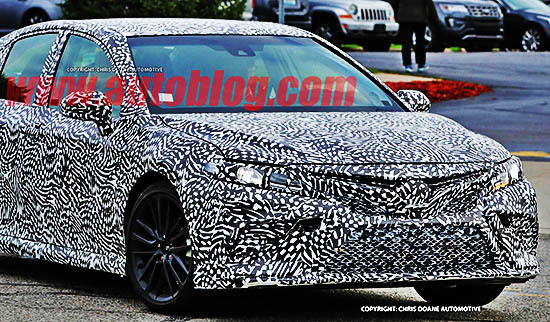 The new model will also have to deal with an all new Honda Accord, coming out just a short time after the Toyota. 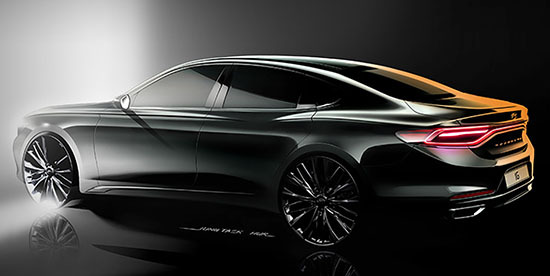 Remember that great looking Buick Avenir concept from about two years ago. Well, of course we're not getting it. What we are getting is the name, not the car. 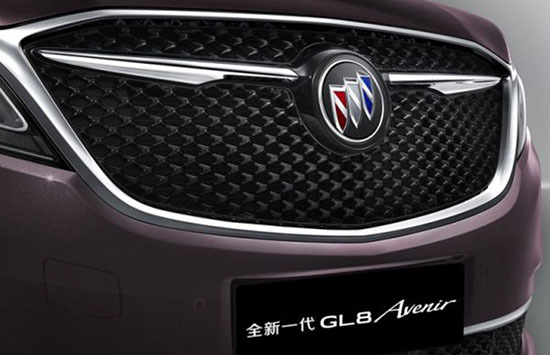 "Avenir" will be used for a high end option trim on some Buick models. 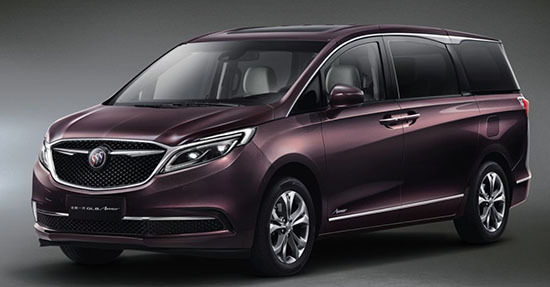 The first one unveiled is the Avenir trim on this Chinese Buick GL8 Minivan. I guess here in the US, we can expect the Avenir trim to be offered on the new Lacrosse. Looks like Buick is trying the same thing Lincoln is doing with their "Black Label" luxury trim. The Black Label option package is great on the Lincoln molded I saw. But I couldn't help thinking it should be standard. It would really make Lincoln stand out. Same thing here. Except Buick cannot compete with the more expensive Cadillac brand. It's been the same problem for GM for generations. A problem Lincoln doesn't have. I thought posting pictures of what I see as one of the ugliest design ever was appropriate, for Halloween. 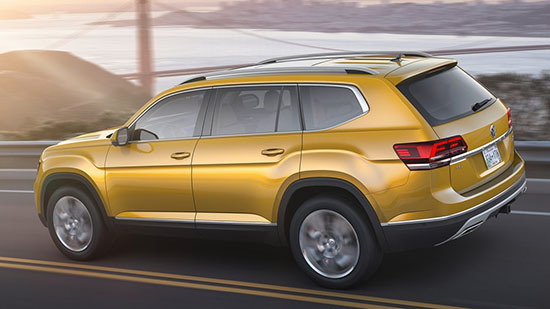 The all new Avancier crossover is now on sale. In China. And (let us all pray) as far as we know, that's where it will stay. It is powered by a 2.0 Liter Turbo. And fits in between the CR-V and Pilot. Seating 5. I guess here it would mainly compete with the Nissan Murano. 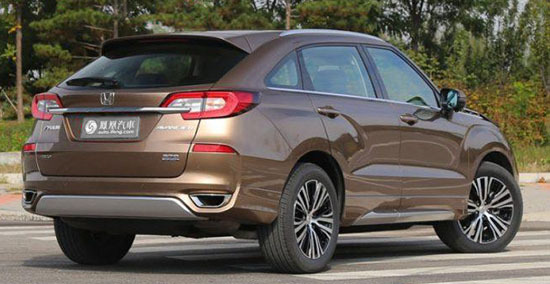 Which is also a "luxury wannabe" crossover from a non-luxury brand. These are still, unfortunately, just computer illustrations. And that is really too bad. 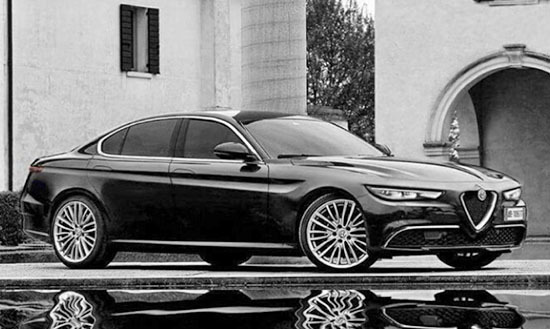 I am sure an Italian luxury sedan looking like this could quickly find an audience. Competing with the new Volvo S90, Mercedes E Class, BMW 5 series and next Audi A6. 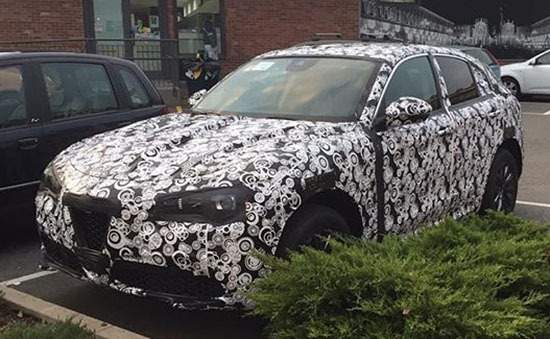 Alfa is busy right now with finishing up testing on the Stelvio SUV. 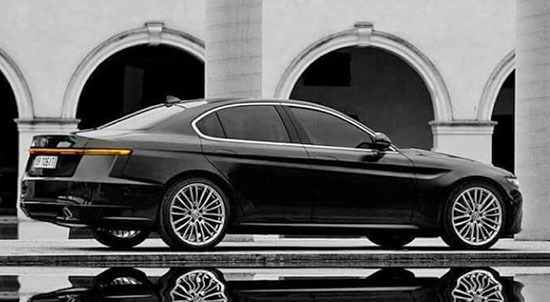 But there are plans for a larger sedan like the one pictured above. And a larger SUV based on that longer platform. This is a sportier GS version. And of course, a hatchback. Which we are not scheduled to get in the US. 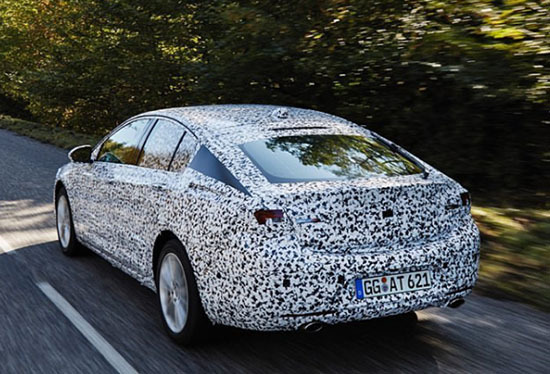 The all new, larger Insignia will come here next year as the new Buick Regal. Just like the Cascada, it will be imported from Europe. 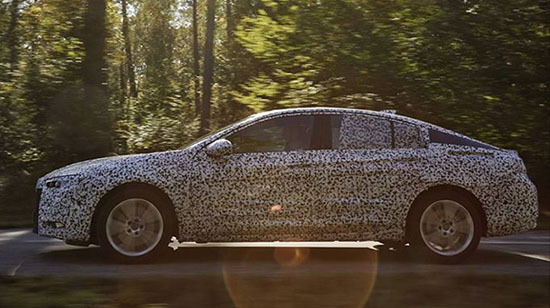 The US will get a sedan version, not the hatchback. As well as the wagon model. I always liked the current Regal. Still looking great. I can't wait to see and drive the next one. Finally. 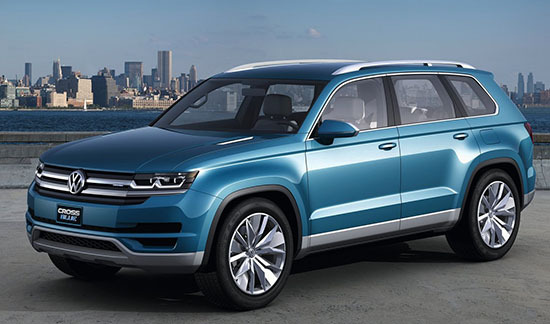 VW will soon have a mid size SUV to compete in the US market. It doesn't look bad. And it does look like a VW. 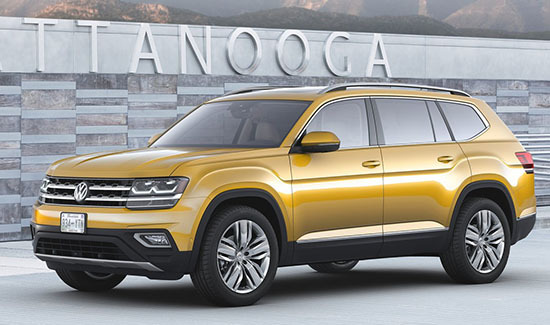 In a big Tiguan sort of way. Here is the 2013 concept. Yes, 2013. Which means it look 4 years (The production model comes out early next year) to bring this to life. I think the production version (yellow) actually does look a bit better. 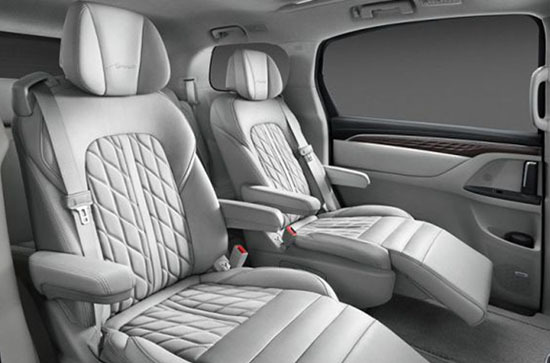 The interior is clean, and super boring. It feels like a Passat SUV. I am not sure that will actually work for them. The Passat sales kind of tanked after the first year. Since it quickly looked old. Seems that everyone else is trying to find a way to make their interiors really cool and modern these days. Although, I must say, the Passat I drove a few months ago was just fine. The boring interior was actually nicer than the new Audi A4 I tested a few weeks ago. I mean it was not that futuristic to begin with. But much more interesting. Just look at the doors. The ones on the production version reverted to zero style. It does have some cool stuff. Like standard LED headlights. Optional glass roof and the amazing Fender audio system. As well as an 8 speed automatic. Engines are the usual 2.0 Liter (238HP) or the big 3.6 Liter V6 with 280HP. This is the first official photo of the all new redesigned 2017 Mazda CX-5. And it already looks like another very nice design from Mazda. The CX-5 has been a hit for Mazda. Selling over 111 000 units last year alone. 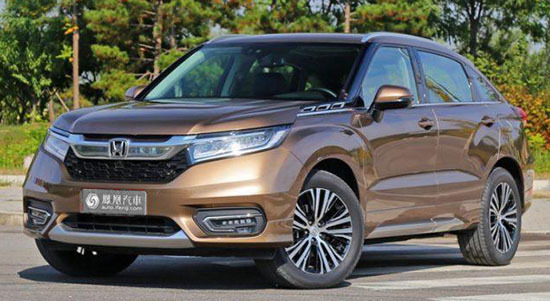 This will face formidable competition from the equally all new Honda CR-V.
And the all new Chevrolet Equinox as well. I will see it in person at the Los Angeles auto show in a couple of weeks. Of course, it doesn't look as cool as the teasers we saw earlier. Still, a very nice and modern near luxury sedan. Which is, basically, as much luxury as most people need. Getting ready to do battle with the Toyota Avalon, Nissan mAxima and the al new Buick Lacrosse. Looking pretty good. 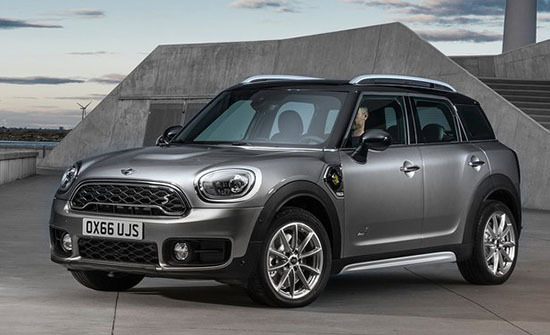 But also, less and less like a Mini. This new version of the Country man is quite a bit larger than the outgoing model. Almost 8 inches longer! And an inch wider. Wheelbase is 3 inches longer. So it is probably a lot roomier, but no longer Mini. At all. These side shoulder lines on the fenders look kind of weird on a Mini. At first. 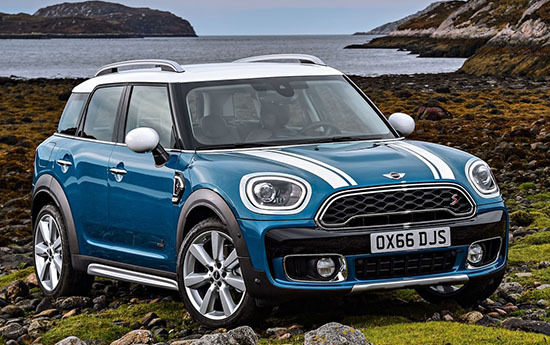 Engines are the same as all other Mini models. Here you can see the old VS.. the new. New is bigger and more aggressive. But probably will turn out way more popular. Since, you know, more room. 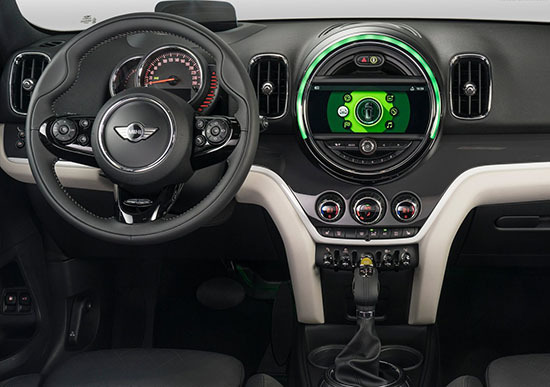 Interior is better than before. But again, less Mini like. Even in style. Still, it has much more personality than any of the mostly boring competition. 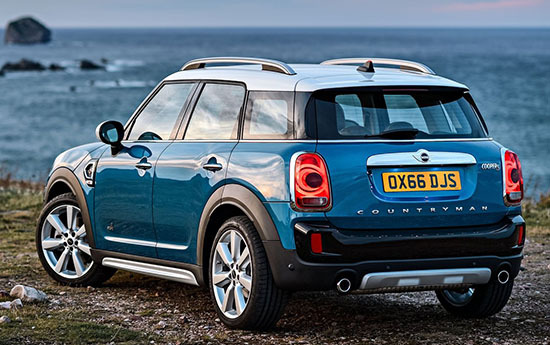 The all new Countryman is now available as a plug-in hybrid as well. Great news! 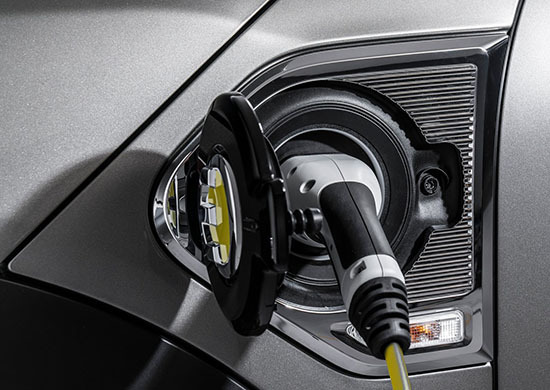 Since after tax incentives, these plug-in versions tend to be actually less expensive than the regular models! This one uses the standard 3 cylinder engine with an electric motor. So far, they have only mentioned an S model with AWD for the plug-in model. So it could be quite pricey. They claim a regular 220 plug will take about 3:15 Hors. Which is really fast. EV range is about 25 miles. Mercedes is calling these "Concepts". That explains the weird futuristic LED rear end. Otherwise, this is pretty much what we'll see in the production version.With smaller wheels. While that LED makes you think of an EV. The concept is quite the opposite. Since it is powered by a V6 diesel. Inside, it looks quite different from the Nissan version. Except for some switches and other details. This is mostly for Europe and South America. Coming out late 2017. And the US will NOT be getting it. Here is is. The weirdest thing ever. 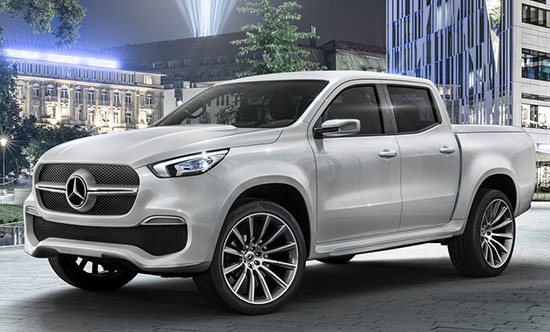 An actual Mercedes pick up truck. Well... Not really. 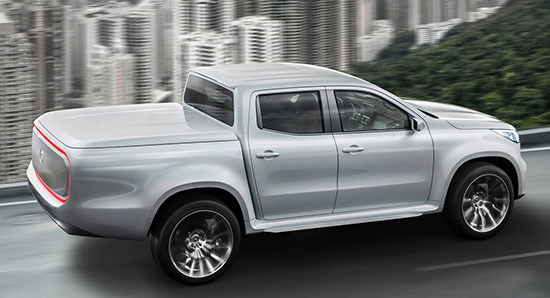 It is "based" on the Nissan Navara. 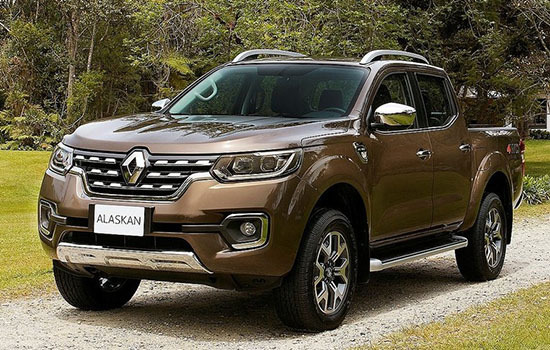 The Renault Alaskan is also "based" on the Nissan. By "based", they mean " they are all the same car"
Here are the Nissan and Renault versions. 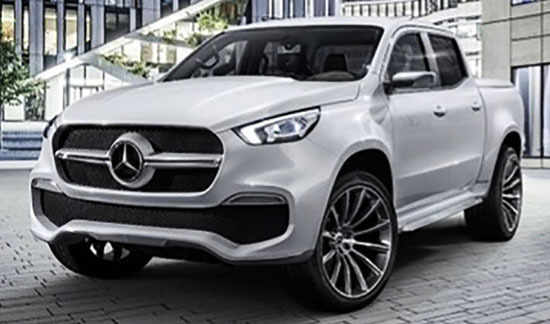 You can tell the Mercedes has, of course, an all new front end. We don't get the Renault here, of course. 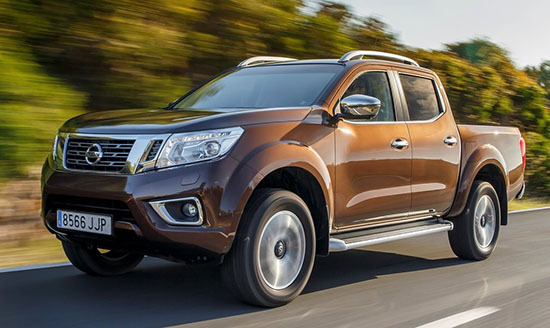 But I thought the navara would make a great Nissan Frontier in the US. So far, the Mercedes version isn't coming here. It seems to me the current model just came out a couple of years ago. And yet, there is an all new one on the way. 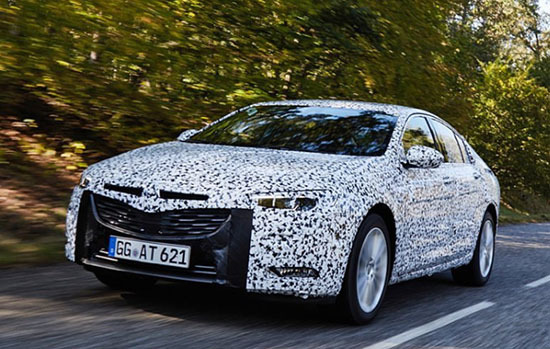 Again, the Azera will be a nice looking car. 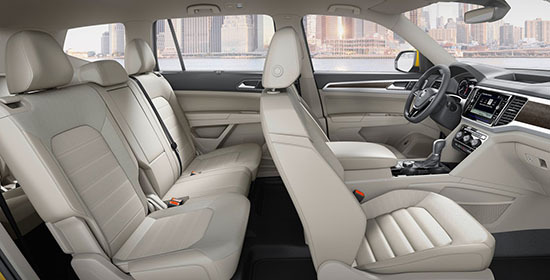 It usually shares its structure with the Kia Cadenza. Since that car was new for 2017, I guess it makes sense for the big Hyundai to be redesigned. But, at least from these official illustrations above. It does seem to have RWD proportions. 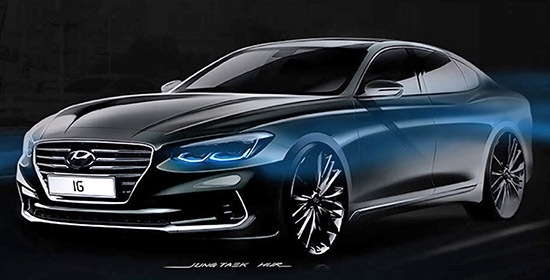 I just can't help wondering if they switch to the Genesis G80 platform this time around. And, with a shrinking large sedan market, we will see less and less of these anyway. I mean, it already seem to have much more personality than the new Lacrosse or the Avalon. 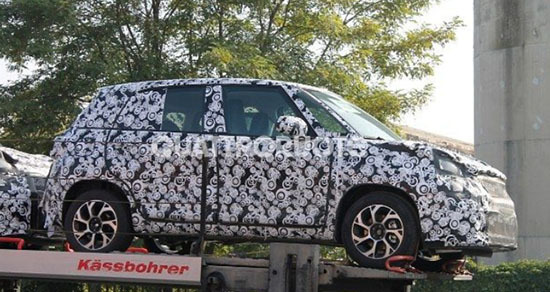 Seems like this new Alfa SUV has been testing forever. 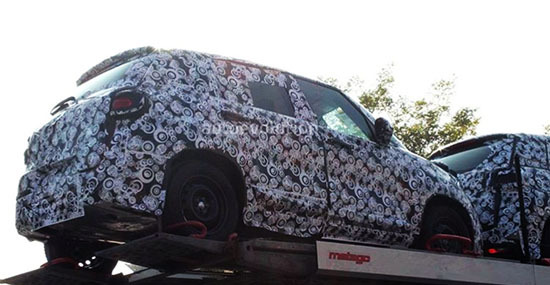 Every week ,we find more pictures of prototypes driving around. So, here are two more. For your own extreme viewing pleasure. Their new "savior of the company" sedan isn't even out in the US yet. But I really think this is more important. Given the size of the SUV market in the US. Where people are also less judgmental about brands. Everyone seems to be able to sell SUVs here. Cadillac and Lincoln do offer great sedans (Especially Cadillac). Still, their SUVs sell the most. Even to people who would have never thought of buying a Cadillac or a Lincoln. 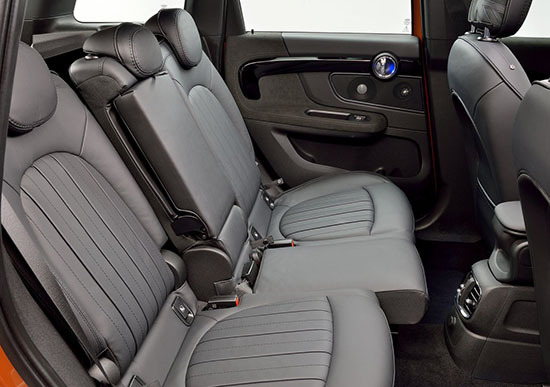 Looks like the 500L is getting a few changes for the next year. Which will probably be just new lights and bumpers. maybe some new interior bits. This is not a popular car in the US. At all. While it sold 12 413 units in 2014. This number went down to 7863 the next year. And it is on course to be less than 4000 for 2016. I am not sure it's even worth it for Fiat to import this anymore. It just looks very clunky in person. I must say, the new 500X isn't doing great either. Which is surprising to me. They only sold 9463 units last year. And 9264 so far this year. I think the 500X does look great and they really need to push it much more in the US. Unless Sergio wants to kill that brand too. Since Mr. Marchionne only wants to sell us Jeeps and pick up trucks.